When people find out I’m a dietitian, I often get the inevitable questions of “Can you help me lose weight?” or “What is the best diet?” while expecting a short and sweet answer. Most people automatically assume that all dietitians are weight loss dietitians, when actually, dietitians work in a number of fields and specialities. The truth is nutrition is a science, and there is no quick fix. I’m not a weight loss dietitian because the science doesn’t support “controlling” weight through dietary restriction in any manner of fad diets, “lifestyle” diets like Weight Watchers, or restrictive calorie counting. Sure, many people do lose weight following restrictive plans. Yet, if you look over the long-term months to years afterwards, the majority of people end up regaining the weight - and more. Why would I recommend restrictive plans to my clients when studies show they don't work? Yet, all we seem to hear about these days are new diets, eating plans, and how we should all lose weight for health reasons, beauty standards, or to fit in with everyone else. No one talks about the side effects of diets, or the actual research. Don’t deprive yourself. Deprivation on a physical level - restricting your calories - decreases your metabolism, so you end up fatigued and drained. You’ll likely be thinking about food in an obsessive way because your brain is trained to fixate on food when it’s being deprived.Your brain needs about 20% of your total energy intake and uses glucose as its energy source (yup, delicious carbs!) Depriving your body often leads to poor concentration, obsessive food thoughts, and that hangry feeling.I help my clients eat enough for their bodies and get out of the diet-binge cycle that happens with deprivation. All foods are allowed. Depriving yourself mentally by labeling foods as good or bad, or telling yourself you “should” or “shouldn’t” eat certain foods can up those obsessive food thoughts and behaviors too.In the past, when I started to think I shouldn’t eat sugar or chocolate, that’s the only food I wanted! Instead, allow yourself to eat and enjoy all foods. Give yourself permission to eat all foods - green smoothies and cupcakes - without needing to “make up” for it later.When all foods are allowed, you’re not breaking any rules. You won’t need to cheat on your diet or feel guilty because you’re always allowed to eat what you want and enjoy it. Gentle nutrition. When working with clients, it may be surprising that I don’t talk about nutrition and balanced diets right away - I mean, after all, I am a dietitian.Yet, after a period of deprivation or dieting, you need to give yourself permission to forget about nutrition, healthy eating, and any food rules you’ve created for yourself. You may eat more than usual or eat a lot of cookies, if that’s what you want. That’s okay!With time, you can start to connect to your body to recognize what foods make it feel good. You can add in nutrient-rich whole foods because you truly want to eat them, and you recognize they make your body feel good and energized. This process allows you to connect to your body to choose foods you really want to eat and not judge your food cravings. Trust your body. This process is not about weight loss - it’s about developing a trusting relationship with your body. Health is individual, and it’s much more than only nutrition and exercise. It includes your physical health, as well as your mental, emotional, social, and spiritual health.While diets primarily end up being about weight loss, this process towards intuitive eating is weight-neutral. By ditching the scale and committing to a non-diet way of living, you can learn to build healthy habits and a kind relationship with your body using your intuition rather than the scale.Your body will settle in a place that’s healthiest for it. You can develop healthy habits, regardless of what your doctor says about your BMI. Health, not weight. Body respect. We’re used to being told to ignore our body’s cues to follow diets, eating plans, or health gurus that know our bodies better than we do.The truth is you know your body best. You can choose to eat when YOU want to eat, what YOU want to eat, and how much YOU want to eat. You can learn respect your body’s needs, cravings, and its natural setpoint. Body diversity exists. Your body - and everyone’s bodies - deserve respect. You can practice body respect by choosing to nourish and move your body on your terms. Know that you can’t tell anything about someone’s health based on their body size or shape. Everyone deserves a nurturing, respectful relationship with food and their body. If you’re in diet prison, you can get out by giving yourself permission to eat, choosing not to deprive yourself, and respecting your unique body. It’s an act of immense self-care and self-love. You’re choosing to take care of your body, and by doing so, the diet industry loses one customer. Together, our culture can turn to one of body respect and trust. 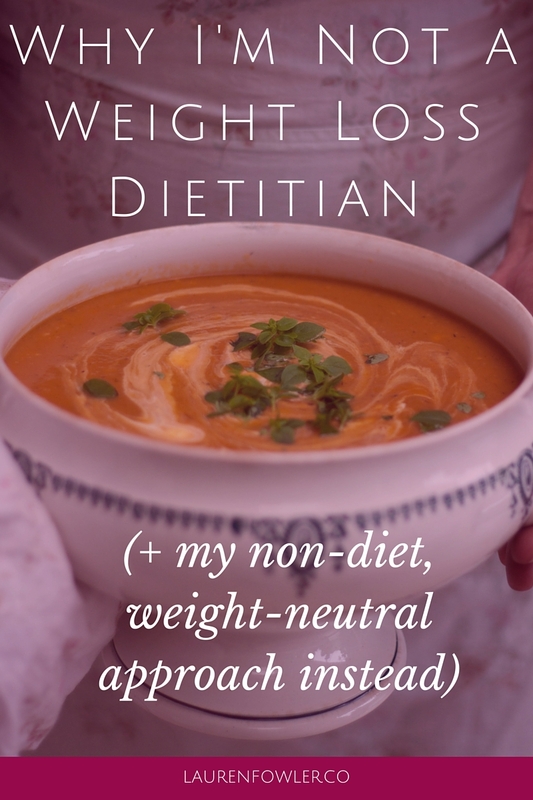 Health Nut or Disordered Eating? How to Know if your Eating is Normal or Disordered.